#DeepVeer: Is It Just Us Or Was Ranveer Singh's Dupatta Heavier Than Deepika's? 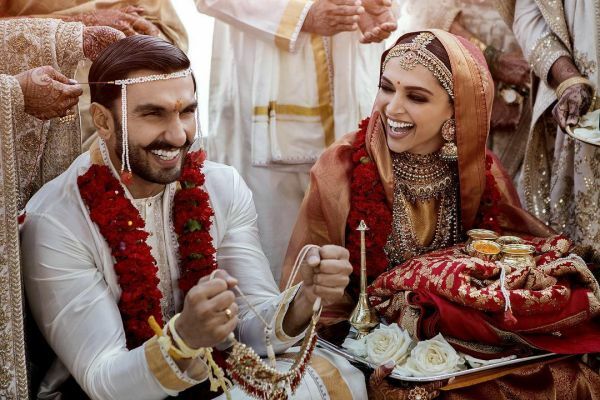 It was a victorious moment for hopeless romantics and happy marriages all over India yesterday as the first official pictures of Ranveer and Deepika's wedding FINALLY came out. It's true that I cried a bit when I first saw the picture... Tears of happiness on second-handedly witnessing the union of Bollywood's most heart-warming couple ever. After hours of obsessing over how happy DeepVeer looked in the wedding pictures, they posted after their Sindhi wedding yesterday... the fashion girl in me woke up. And then I cried tears of happiness on second-handedly witnessing such simple yet exquisite wedding outfits. Now, it is no surprise to see Deepika immaculately dressed for both the ceremonies - Konkani and Sindhi. While it took no time for everyone to pour over Deepika Padukone's wedding ensembles, I am more in awe of Ranveer's grandeur-exuding wedding outfits by Sabyasachi. 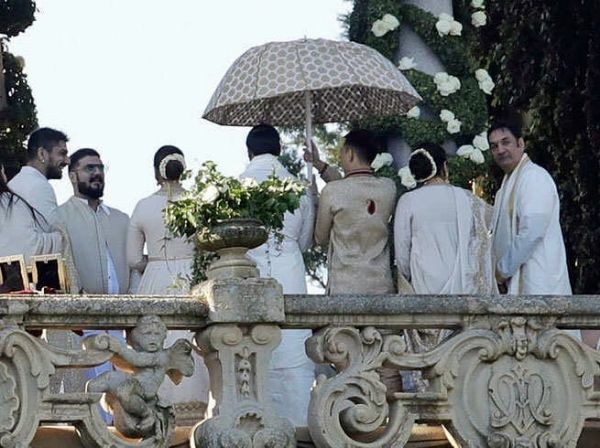 For DeepVeers Konkani wedding, Ranveer was dressed in white and gold, a quintessentially Konkani colour combination. It's a sight for sore eyes to see Ranveer in these classics, isn't it? I've seen and loved the crazy, eccentric side of his wardrobe but there is something to be said about traditionally rich yet simple ensembles. According to Ranveer's stylist Natasha, ''Like a good Konkani groom, he wore an ivory and gold veshti, kurta and angvastram''. From what I could tell from the pap images, our dearest Baba was, indeed, wearing a white kurta with dull gold embroidery at the collar, cuffs and hem. Ranveer paired this with an ivory-gold veshti, which is a traditional Konkani style dhoti... and can I say this groom totally nailed it? The matching stole-like cloth draped across his shoulders is the Konkani angavastram Nitasha is referring to. 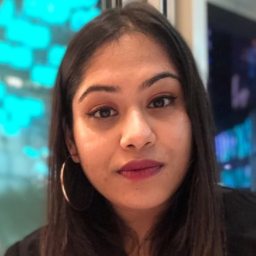 Falling in love all over again? Save it for his Sindhi wedding look, ladies. 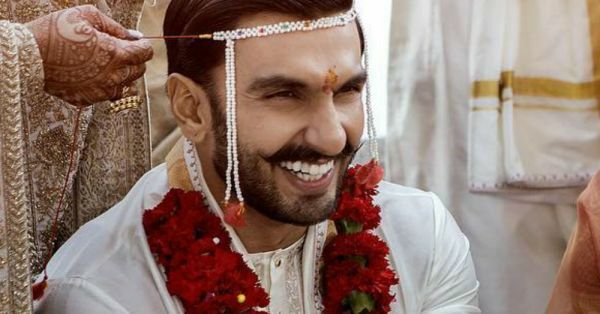 Sabyasachi went all out for Ranveer's North Indian groom's getup and you can see it. From soothing whites to royal-worthy reds, the transition was one that was drastic but oh, so magical. In a signature Sabyasachi piece, Ranveer probably broke a million hearts in one go with his sherwani. The groom's outfit was tailored in a luxurious red Kanjeevaram silk with peacock motifs in gold and embellished buttons down the front. His safa headgear was in a completely different pattern - Singh contrasted his peacock motifs with modern bold stripes... Now, that's the Ranveer I know. His sherwani dupatta, FYI, was heavier and more intricately embroidered than Deepika's. I'm serious! In fact, I'm screenshotting his elaborate zari work border for my wedding. Coming to Ranveer Singh's jewellery - my favourite part. With all the comparisons between his and Virat's wedding looks, it's important to state that Baba is clearly the winner. How regal do those ruby beads look around his neck? And the star, of course - the emerald and polki necklace with a falcon pendant! What a fitting piece of jewellery for the best-dressed man in Bollywood, amirite? Wasn't DeepVeer worth the wait? Especially, Ranveer Singh and his regal looks. All we can say is... no wonder 'yeh deewani toh Bhavnani ho gayi'!